Smartphone Samsung's i8700 Omnia 7 has been unveiled in India at a price tag of Rs. 15,750. It was announced sometime back in October, 2010 and since then it has been centre of attraction for Samsung mobile phone lovers. Samsung smartphone, Samsung i8700 Omnia 7 has cool, unique and impressive features incorporated in it that are enough to amuse and allure its users and give tough competition to others in the league. 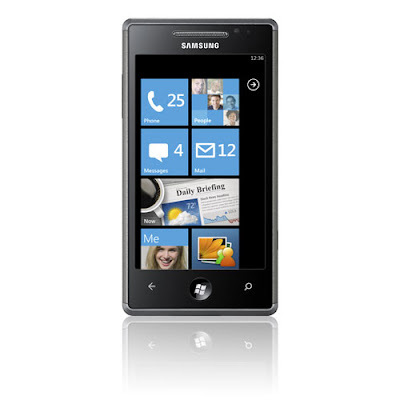 This one that we refer to as Samsung’s I8700 Omnia 7 is a Windows Phone 7, it works on WP7 operating system and boasts 4-inches super AMOLED capacitive touchscreen with 400X800 pixels resolution. Operating on both 2G/3G networks, it bears 122.4 x 64.2 x 10.99 mm physical dimensions. It makes use of 1GHz Qualcomm Snapdragon microprocessor for faster browsing and superior Internet surfing experience. This candybar phone that weighs 138.2 grams is a good looking phone and the handset display of it is so clear that one may view text messages, pictures and videos on it with utmost ease and feel delighted due to enriched quality. The quality is great even in sunlight. There is a 5-megapixel autofocus camera in Omnia 7 which can make videos in HD format at 720p. For entertainment and amusement of users, Omnia I8700 has also integrated some interesting services such as Microsoft’s "Xbox LIVE Gaming" and Microsoft’s "Zune Player" in the smartphone. On the connectivity front, there is WiFi ( b/g/n) , Bluetooth 2.1, and USB 2.0 in the handset supported on triband UMTS/HSPA (900/1900/2100). It is also A-GPS enabled handset. The Omnia 7 boasts a FM radio and let users play console video games and download favourite music tracks. There is no external memory expansion provision in the Omnia 7 and henceforth its internal memory has been taken to a massive 8/16GB capacity. The 1500mAh Li-ion battery of phone gives 520 minutes of talktime and 390 hours of standby time to users who love to talk more or whose work demands it. 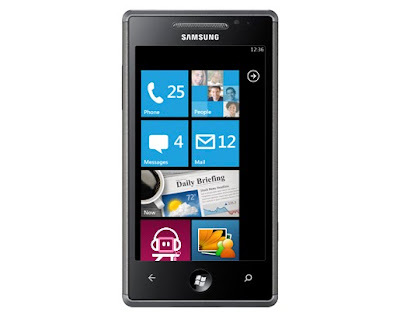 Samsung Omnia 7 will boom the handset market in the smartphone segment and is a good buy for smartphone lovers.